Aerobatics training is a great way to improve your confidence in control of the aircraft and flying abilities while having a lot of fun. Aerobatic flight maneuvers include rolls, loops, stalls, spins, hammerheads, Cuban eights, Immelmans and inverted flight. If you ever wanted to feel like an ace acrobatic pilot, learning aerobatics is the way to do it. When learning to fly aerobatics, it is important to choose a flight instructor with experience in aerobatics and in teaching students aerobatics. Don’t go to those who have learned a little. It is also sometimes a requirement to wear a parachute during acrobatic flight. In addition, the airplane must be certified for aerobatic flight and have a utility rating. Not all aerobatic airplanes can perform the same maneuvers. Specifically, some aerobatic aircraft can perform sustained inverted flight and some cannot. It’s also important to understand how to operate the parachute in the event of an emergency and how to unlatch the doors on the aircraft in the event of an emergancy. Most aerobatic aircraft have hinge pins in the doors. Once those are pulled, the doors fly off the aircraft. Aerobatic aircraft are also equipped with five point harnesses instead of standard aviation seat belts which also contain quick release latches in the event of an emergency. Aerobatic flight is only approved during VFR weather and can only be performed above 1,500 feet AGL. Aerobatic flight cannot be performed over any congested areas including towns, cities and settlements. Aerobatic flight cannot be performed over an open air assembly of people. This is to ensure that in the event of an accident that no one on the ground is hurt. Aerobatic maneuvers consist of barrel rolls, loops, stalls, spins, hammerheads, Cuban eights, immelmans and inverted flight. The first aerobatic maneuvers you’ll learn during your training are stalls, spins, loops and rolls. Stalls and spins are a basic flight maneuvers. You should be familiar with them from your private pilot training. 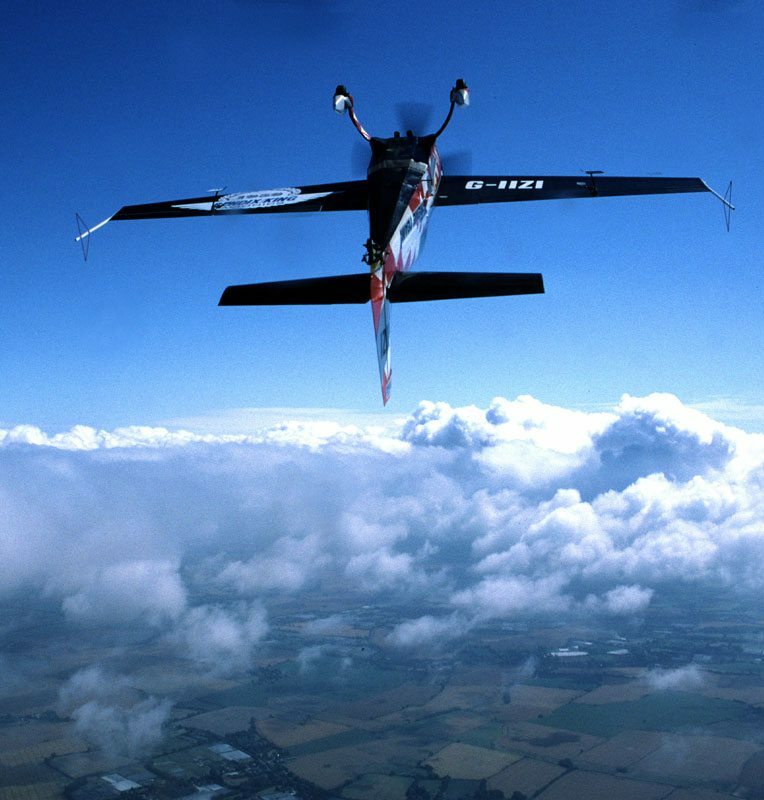 In aerobatic training, you’ll learn everything there is to know about stalls, spins and recovery. By the end of your aerobatic flight training, you should be very familiar with stalls and spins and how to recover from them. In other words, stalls and spins should no longer cause you stress, anxiety or fear. The loop is a 360 pitch change and resembles a vertical “O”. During a loop, the aircraft is pulled into a climb at an airspeed well above stall and is flown all the way around the loop. Entering the loop well above stall speed ensures that the aircraft never drops at or below stall speed during the loop. If the aircraft were to drop to stall speed, it would lose maneuverability and potentially cause an emergency. Rolls are performed with the ailerons using zero rudder application. In a roll, the ailerons are deflected either to the left or to the right. In this maneuver, the aircraft rolls along its longitudinal axis wing over wing. In order to maintain lift, the roll is typically started at a slightly nose high pitch and ended at a slightly nose low pitch. You’re aerobatic instructor will teach you exactly how it’s performed in a safe and effective manner. Hammerheads, Cuban eights and immelmans as well as inverted flight are all advanced aerobatic maneuvers. A hammerhead is a stall where either the left or right rudder is pressed at the top of the stall. To perform a hammerhead, you climb the aircraft at full throttle, pull the aircraft back to completely vertical flight then cut the throttle to about a quarter power. As the plane approaches stall apply full rudder to either the left or the right. The plane will fall sideways. As the plane keels over in the direction of the rudder pressed, release the rudder and allow the plane to fall straight and nose down. To exit the maneuver, pull the plane to level flight and apply power. A Cuban eight resembles an eight on its side. A Cuban eight is performed by entering a loop and completing it to the 45 degree line then performing a half roll down the 45 degree line, leveling the plane, performing another partial loop with a half roll on the 45 degree line and ending with straight and level flight. Immelmans were originally used in dog fighting in order to quickly get above and behind and enemy plane. The aerobatic immelman is quite a lot like the dog fighting maneuver. The pilot enters the maneuver as if he or she were performing a loop. Once inside the loop, the pilot climbs vertically until he or she is above their entrance altitude then the pilot pulls back into inverted flight. The maneuver is exited with a half roll to return to level flight above the entrance altitude. An immelman is basically half a loop with half a roll. 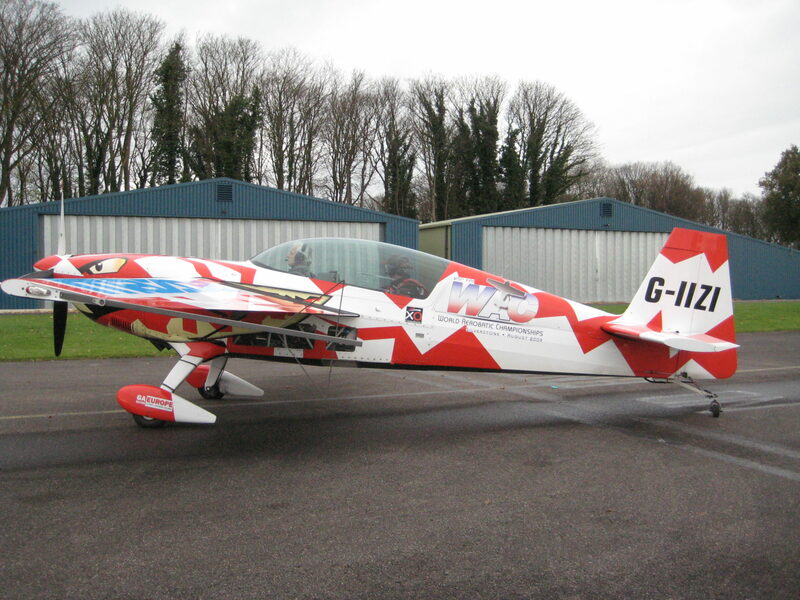 In short, aerobatics are fun to perform and help you perfect your flying ability. The only things to remember are, safety first, find a reputable and knowledgeable instructor and have fun.